Australian horse racing identity John Messara is to receive a prestigious international award recognising his lifelong contribution to thoroughbred racing. Messara will receive the 2019 Longines and IFHA International Award of Merit in Sydney on April 11, ahead of the weekend’s feature race, the Longines Queen Elizabeth Stakes (G1) . Swiss watchmaker Longines and the International Federation of Horseracing Authorities (IFHA) created the Award of Merit in 2013 to honour public figures for their outstanding contribution to the sport. 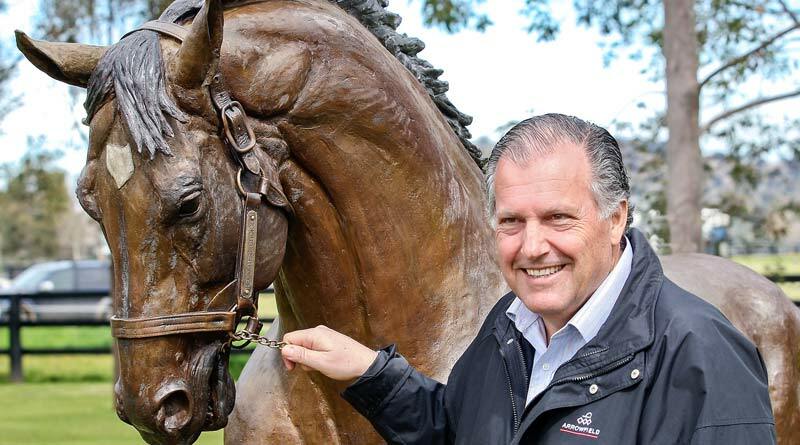 Messara has been a key figure in Australian racing for more than three decades, and is the owner and chairman of Arrowfield Stud in New South Wales. The farm, founded in 1985, launched the career of breed-shaping champion sire Danehill in Australia and now stands his champion sire son Redoute’s Choice and champion sire grandson Snitzel. Messara, who was born in 1947, attended the University of New South Wales. After graduating in 1968, he worked with Edwin V Nixon & Partners (Arthur Young & Co), chartered accountants, before joining the firm of Ralph King & Yuill, Member of the Sydney Stock Exchange, and establishing their European branch in Geneva, Switzerland. He returned to Australia and was elected a Member of the Sydney Stock Exchange in 1973. That same year, Messara married Kristine. They have four children: Dr Louise Messara; Group 1 trainer and Arrowfield Stud manager Paul Messara; Arrowfield Group director Michael Messara; and media presenter and producer Susanne Gray. Messara is the first Australian to receive the Longines and IFHA International Award of Merit. Previous winners include the Magnier family and trainer Aidan O’Brien, the driving forces behind Coolmore and the Ballydoyle Racing Stable in Ireland; Yutaka Take, legendary Japanese jockey; the Romanet family, long renowned leaders in both the French and international world of horseracing; Jim Bolger, leading Irish trainer, owner and breeder; Alec Head, past champion trainer and patriarch of prominent stud farm Haras du Quesnay; Seth Hancock of historic Claiborne Farm in America; and the late Marcel Zarour Atanacio, former chairman of the South American organization for the promotion of Thoroughbreds (OSAF).